Are you in Manhattan, Queens, or Brooklyn? Is your kitchen dated? Maybe it looks like it was last updated sometime in the last century or maybe it is just worn-out looking. What if you can’t afford new cabinets? Maybe you are doing an entire remodel of your kitchen and need to stretch your budget. Take heart, instead of replacing all your old cabinets, why not consider kitchen cabinet refacing instead? No matter the size of your house or the amenities in the other rooms, the kitchen, for some reason, always becomes the gathering spot for guests. You want your Manhattan, Queens, or Brooklyn kitchen to be a great space for cooking and hanging out. 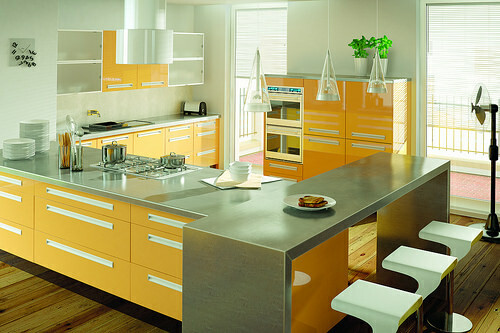 If you are looking to spruce up your kitchen, consider kitchen cabinet refacing. 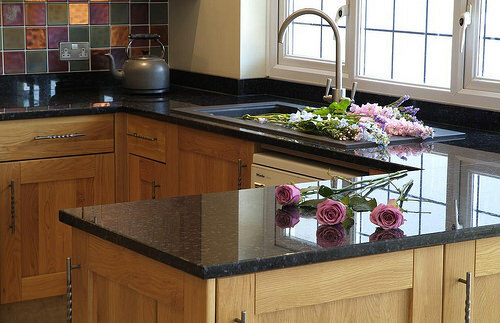 At about half the price of replacing your existing cabinetry, refacing can make your whole kitchen look fresh again. Examine your existing cabinets. Are they structurally sound and in good shape? If so, seriously consider refacing. 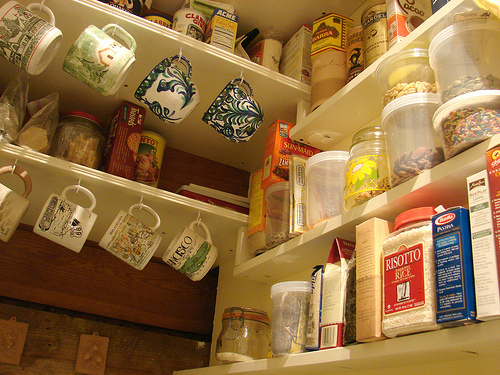 Another idea to consider during your kitchen update is putting in more storage. Kitchen cabinet refacing makes your whole kitchen look great, but one thing it cannot do is fix the layout. If your layout or number of cabinets is all wrong only a replacement can help that, but one thing you can do to add a little more storage to your Manhattan, Brooklyn or Queens kitchen when an entire remodel is out of the question is to add a kitchen pantry cabinet or two. These free-standing cabinets hold a ton of stuff and come in many styles and colors. This is a nice addition to your Manhattan, Brooklyn or Queens kitchen, mud room or laundry room. While the options available may not be literally endless, there are a tremendous amount of options available for your kitchen cabinet refacing project. Veneer is applied to the visible part of the cabinet around the doors or exposed sides and comes in an array of eye-catching colors, patterns, and textures and can be mixed or matched with cabinet doors and drawer fronts. This is also your chance to update your cabinet hardware. 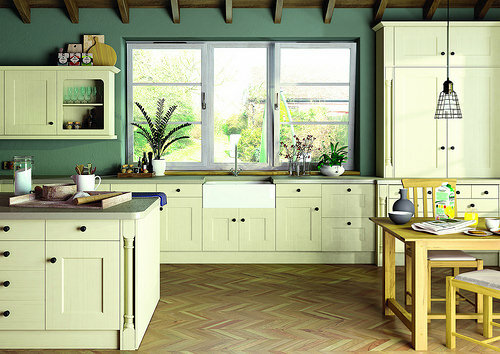 This also offers hundreds of options and finishes to mix and match to your design delight. Think of adding some glass front panels to display your dishes. How about raised-panel or louvered doors? Always wanted dark wood? This is your chance. 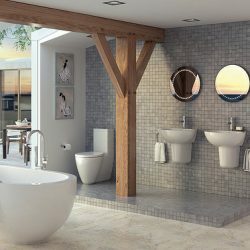 How about a contemporary feel? Choose a fabulous contemporary wood pattern to round out your vision. You can choose doors with added molding for more texture and interest. Other than the cost, there are many advantages to refacing instead of remodeling. Refacing takes approximately a week to install, there’s no demo, your kitchen can be used during the process, and you keep your old cabinets out of the landfill. Although you may have heard that refacing uses sub-standard materials and/or looks cheap, neither of these things are true. Most companies who offer refacing and replacement use the same materials for the replacement cabinet doors and drawer fronts as for their custom built cabinets. Same material as new; same result. The veneer, which covers the old cabinet fronts and the adhesive used to adhere the veneer to the existing cabinet are both very high quality, and no one will know the difference. You also may opt to add crown molding to the top of your cabinets for another new look and feel. This is a project you can do yourself, but just keep in mind precision is needed for adhering the veneer to the existing cabinet. You’ll also need plenty of time. Expect DIY to take longer than a professional install since it usually must be done in your free time. If you do not have the necessary tools, like rollers to work out the air bubbles in the veneer once you apply, blades to cut the veneer, and an iron to seal the veneer adhesion you need to add this to the cost of your finished project. No matter your final choice, you will feel good about saving money and doing your bit to be eco-friendly. Only you and your wallet will know they aren’t completely new cabinets unless you tell.